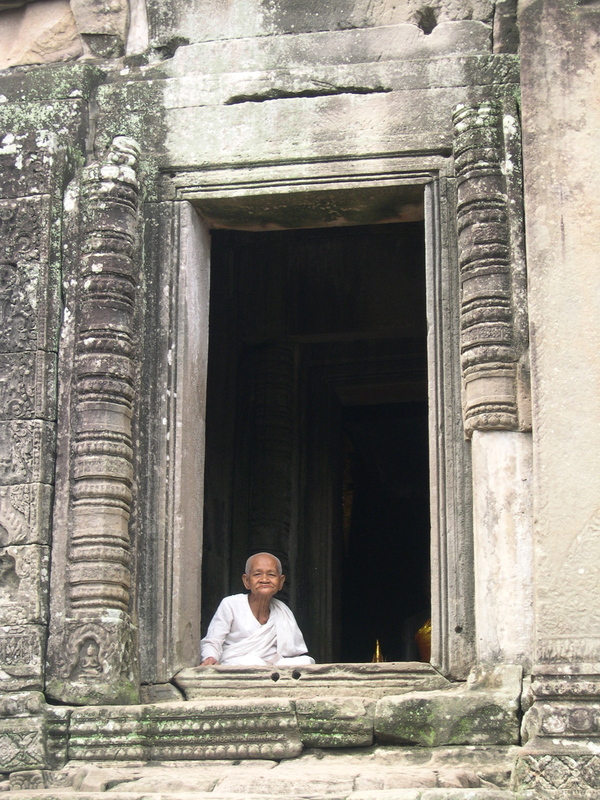 These photos, which were taken about 10 years ago on my first digital camera, are my precious memories of a magical time in Angkor Wat. I still remember everything and I often wonder about the fate of one of my favourite places. It must be time for a return trip. I hope the kids are still there, frolicking in the dams and hopefully not still selling drinks to tourists when they should be in school – but they probably are still bunking off school. Is it still a holy place? Are the geriatric nuns and monks still luring the foreigner tourists into the temples to give them a blessing and asking for a donation to the local monastery? I couldn’t understand a word they said but they are the cutest little people. 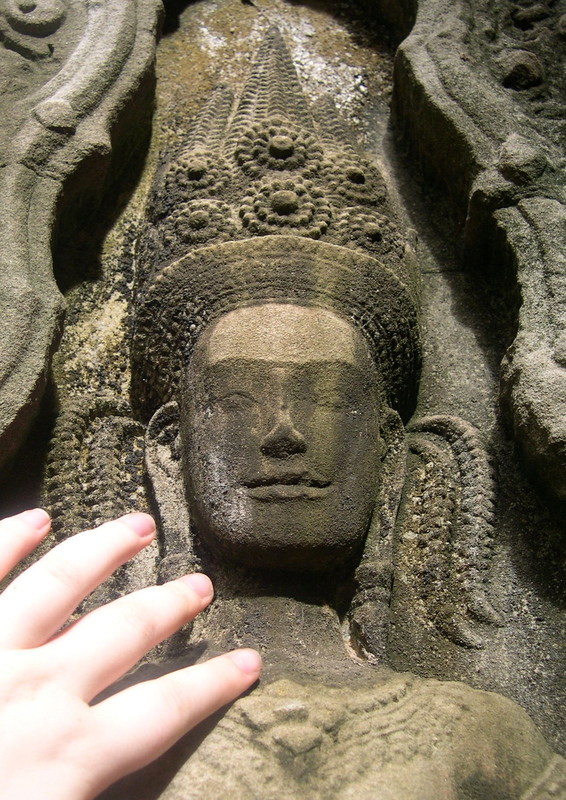 It was at Angkor Wat that I learnt about the Apsaras: fairy-like celestial dancers. They are the water spirits who came from the sea and can change their shape. 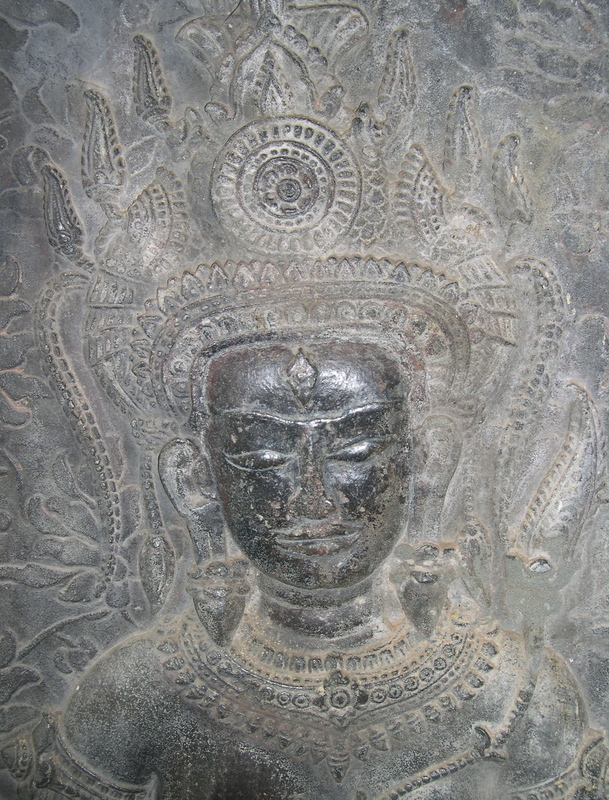 Apsaras tend to be young, scantily clad and beautiful. I suppose they are similar to the Greek nymphs. 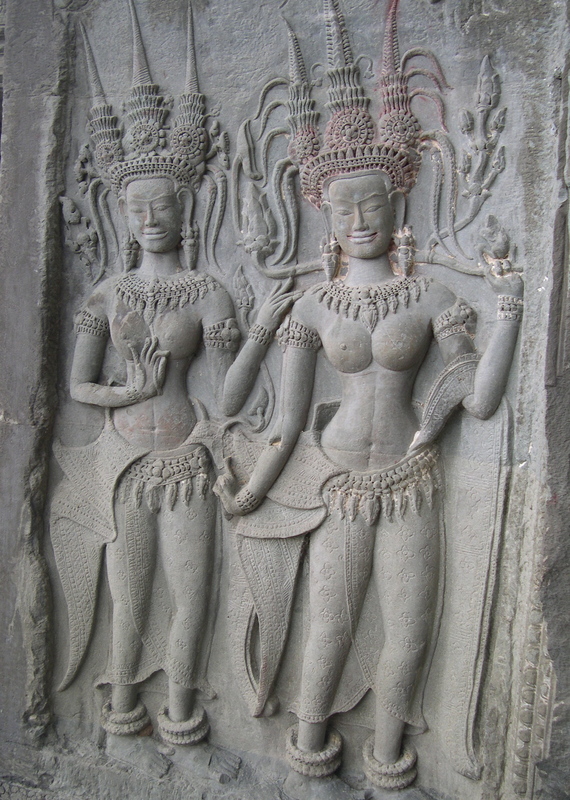 The modern dancers imitate their style of headdress and their poses Cambodians these days prefer to wear more clothes. 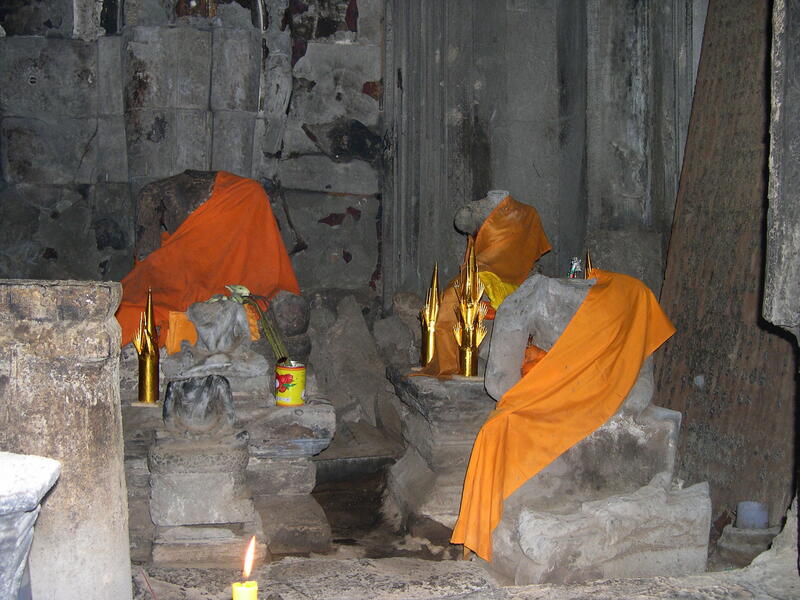 One thing that is the same, of which I am very sad: the headless buddhas – once a smiling face and now just a body, the heads being sold on the black market for cash by the Khmer Rouge and other pillagers. 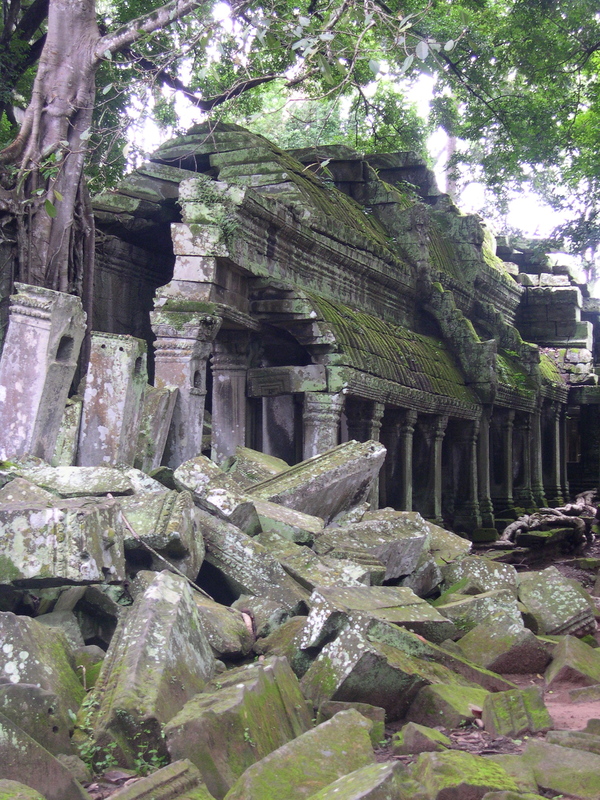 Sites such as Angkor Wat have been looted for centuries but it’s only now we feel the loss as there is going to be nothing left soon. Will we ever find the heads? I do hope that the security guards these days get paid enough to look after them – it is a lot easier to look the other way when you earn $8 a week and some scoundrel with a chisel offers you $20 to take an early break. I understand these worker’s positions completely, but I hope that things have changed – I am sure the oil company that owns the site can afford to pay their employees properly. 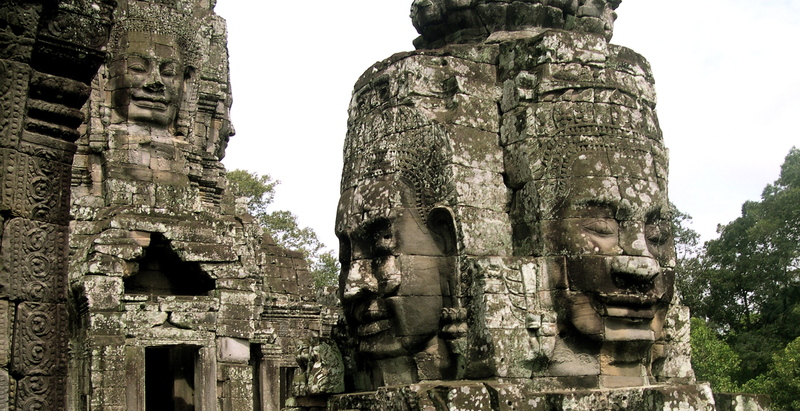 Thank goodness we still have some of the treasures of Angkor Wat. These babies are still there – smiling at us smiling at them. 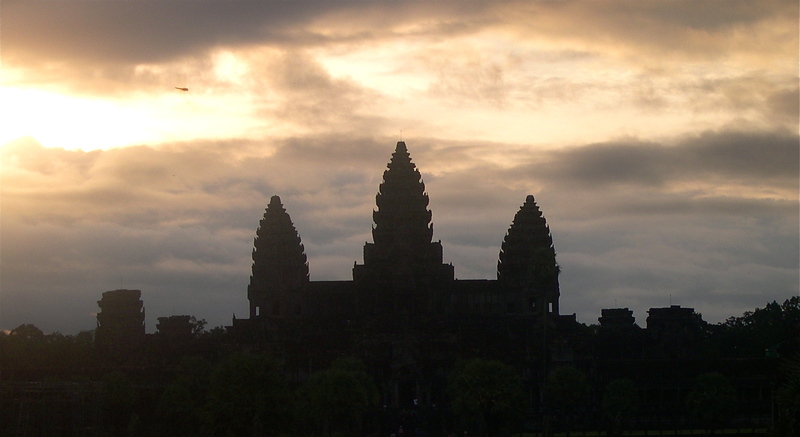 Very beautiful photos…even with an “ancient” camera.